A little back ground is needed here I'm sure. I need a new faster hard drive for my Mac Book Pro. I know she is a bit old but I need to keep her alive and kicking for all of the blog posting (I know I have not been posting here much), web design, and other misc stuff that would bore you to tears. My favorite place to shop is Craigs list and Micro Center for electronics and computer stuff. Craigs list is out cause I need new and need to write a check. So I started searching Micro Center's web site and found it!!! 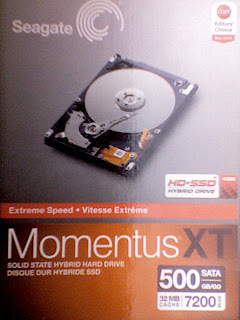 Eureka..
A Seagate Momentus XT 500GB SATA 7200 RPM 32MB cache with 4GB SLC NAND Flash Storage. Had to do a "Home Improvement" Tim the Tool Man Taylor grunt. Perfect drive all the space I need with the benefits of a 7200 rpm drive and SSD on board. 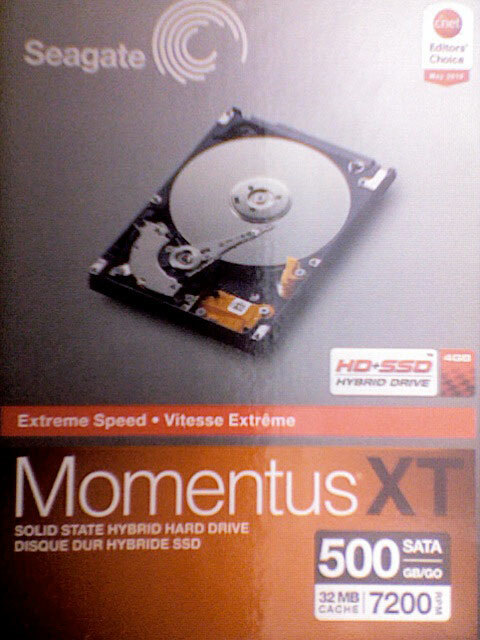 It will not be as fast as a full solid state drive but on a budget it will do. Micro Center had them on sale for 99.99$ USD and last week they had 26 in stock but the day I wanted to go down (30 min drive no traffic over an hour with traffic) they were out of stock. So tonight I had some time to head down there but remembered that Best Buy states they will price match and they are only 5 min away. I get to the local Best Buy and pick out my drive and found a blue shirt relatively easily (which is a good thing for starters). Me: Hey, how's it going? You got a min?? Blue Shirt: Sure, How can I help you? Me: You guys price match right? Blue Shirt: Yep, What do you need? Me: Got this drive you have for 139.99$ USD and Micro Center has it advertised for 99.99$ USD. Can you help me. BTW nice guys ... they were very professional and pleasant. Blue Shirt: I need to go let this other customer know we don't have his item in stock but some one will be right with you. Black Shirt comes running up. Black Shirt: I'm sorry we can not price match that it is below our cost. Me: Its on your web site you price match. Black Shirt: It is at the Store's discretion we can't lose money on items. off the record I fully understand that philosophy eventhough in this instance it was complete BULL I'm sure. Me: Well what can you do?? Me: Well I'm here and to save the drive I will take it ..
Not sayin I did not get a decent deal by any stretch of the imagination. 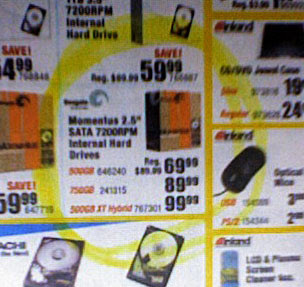 I could have driven down to Micro Center or ordered it on line some where and gotten a better deal. 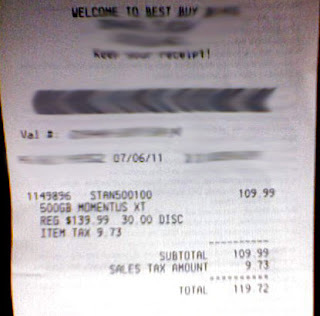 But just so you know ... Best Buy may or may not Price Match for you..